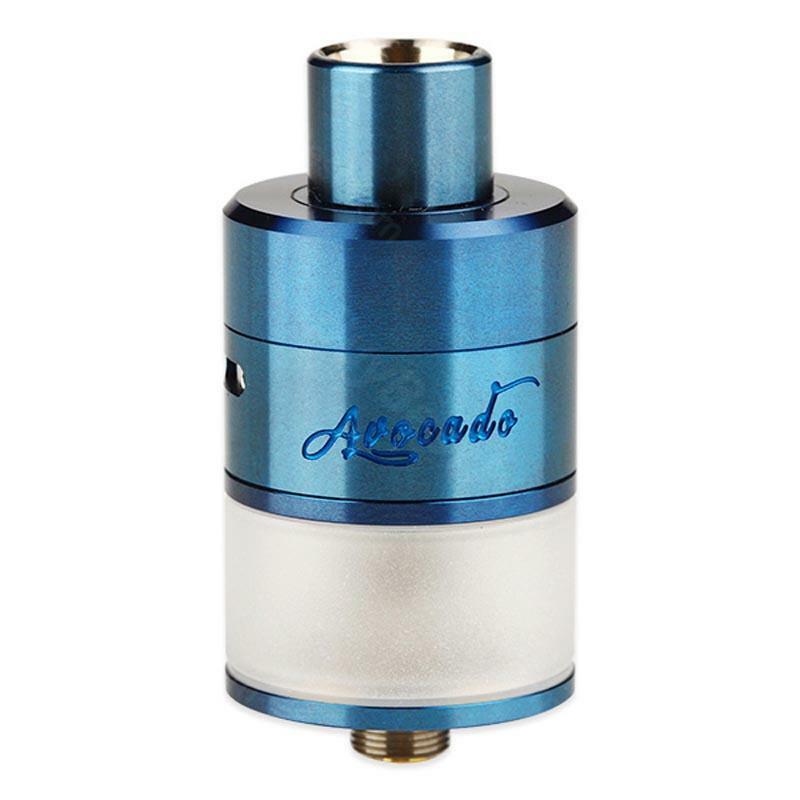 GeekVape Avocado 24 RDTA Tank 5ml is an upgraded version of Avocado RTA.Compared to Avocado RTA, Avocado 24 RDTA Tank has larger capacity,more fashionable design and better structure. GeekVape Avocado 24 RDTA Tank 5ml is an upgraded version of Avocado RTA.Compared to Avocado RTA, Avocado 24 RDTA Tank has larger capacity, more fashionable design and better structure. With genesis structure and big velocity style deck, you can enjoy the fun of DIY and pure flavor at the same time.And there won't be leaking problem because of great sealing of the refill hole. When you build the coil and almost finish the whole body, you will find that the coil can be a little higher than the air intake, the e-juice can be fully heated in this way, can create huge cloud, the flavor can be more rich and pure. Classic color black and white, get one, you will not regret. 2. Rebuildable atomizers not for beginners. It is my favorite rdta, goods match the description.It has great sealing of the refill hole, so no leaking problem. Complete box with spare parts and tool.very satisfied. Nice seller. This tank with excellent quality and works well,wonderful flavor.It has large capacity, no flows, not soplic.I recommend the tank and seller. Geekvape avocado rdta, nice one. Got the Avocado 24 for my boyfriend, and he love it! Very well built, and huge cloud. Couldn't be more pleased. Shipping was fast, service was good, and I love this RDTA.